Russia's Gazprom is unlikely to offer significant price concessions to Naftogaz of Ukraine in the short term, Fitch Ratings says. 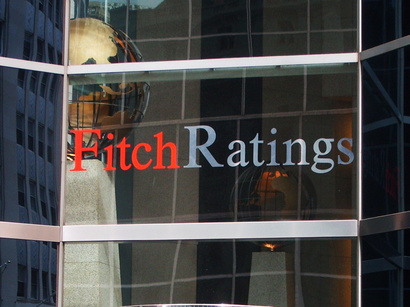 This is because of high spot prices for natural gas in Europe, which are being driven by the continued cold weather, Fitch Ratings Agency believes. Gazprom CEO Alexey Miller's recent comments that its prices to Ukraine are rather moderate compared to current spot prices in Europe support this view. We therefore believe that the prospects for a new gas price agreement between Gazprom and Naftogaz are limited now unless accompanied by major concessions from Ukraine. Russia has been advocating for Ukraine to join the Customs Union, which currently includes Russia, Kazakhstan and Belarus, and allow Gazprom to operate or partially own the Ukrainian gas transit system. In exchange, Russian officials were willing to reduce the gas price for Ukraine and forgo the USD7bn bill for unmet 2012 gas volumes issued under the contractual 'take-or-pay' provisions. Ukraine has been pushing hard for gas contract re-negotiations with Gazprom on volumes and prices since 2009. Current Gazprom prices for Ukraine are around USD406 per thousand cubic meters (mcm) of natural gas, and Ukraine estimates that prices will increase further to USD426 per mcm in Q213. This is below the spot gas prices in the UK that exceed USD500 per mcm now. Ukraine has said it wants to reduce the price it pays to Gazprom to around USD250-USD280 per mcm in H213, which implies a roughly 35% price drop from the current levels. Naftogaz remains a top customer for Russian gas. In 2012, it bought some 25 billion cubic meters (bcm) of gas from Gazprom and it plans to reduce the purchase volumes of Russian gas in 2013 further to some 20bcm. We continue to view Naftogaz' financial profile and liquidity as very weak. In particular, Naftogaz would need to rely on the government of Ukraine for financial support if it had to pay the USD7bn bill from Gazprom. Ukrainian officials say that the contract provisions limit Ukraine's ability to terminate agreements early; moreover, Ukraine currently has no real alternatives to Russian gas. Naftogaz recently announced deals to explore shale gas with Royal Dutch Shell and to build a LNG plant with a western partner are potentially beneficial to its business profile, as Ukraine tries to diversify its gas sources away from Russia. However these projects will take several years to complete. We therefore do not incorporate any upside from these projects into our forecast for Naftogaz.